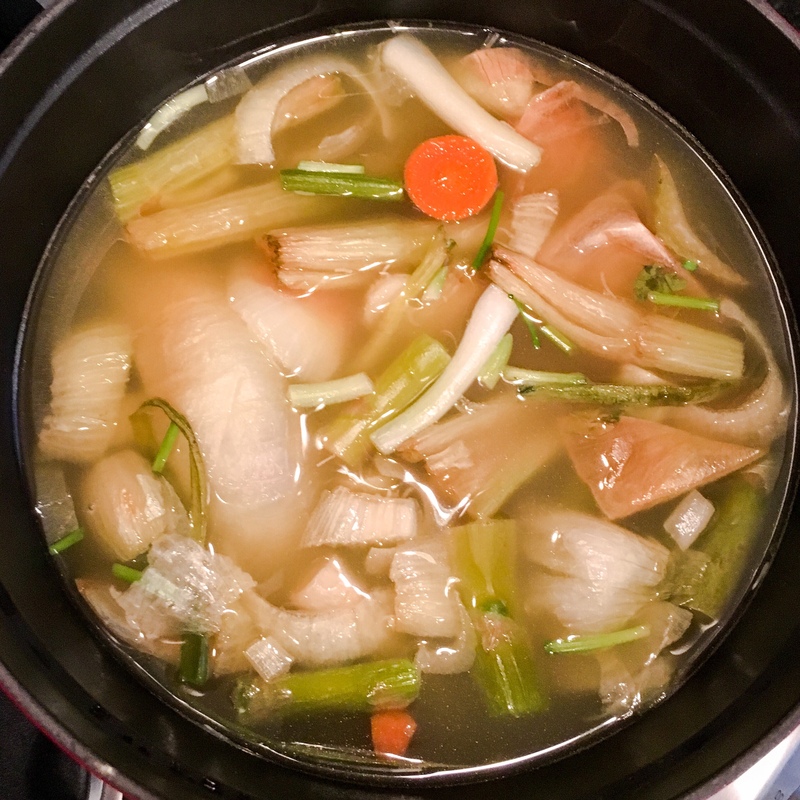 A while back I read a tip somewhere– I wish I could remember where– to save all veggie scraps in the freezer to make stock. The idea is pretty simple– all those stems, outer layers of onion, etc. that you don’t end up using add a really nice flavor to store-bought stock. I ended up making Egg Drop soup with the stock last week.